I love how this recipe has only THREE ingredients and one of them is coconut (my absolute fav!). Coconut has been a superfood by many cultures around the world and the saturated fat in coconut is a fat that is rarely found in nature known as Lauric Acid. This type of fat is like a miracle ingredient because of all the health promoting properties. Our body converts lauric acid into monolaurin, which has anti-viral, anti-bacterial, and anti-protozoa properties which help with viruses like HIV, herpes, measles and the common cold and flu. 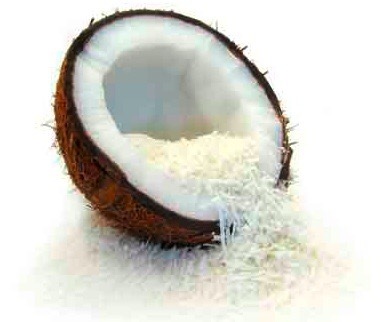 Coconut is also amazing for our hair, nails, skin, metabolism and supports the health and proper function of our thyroid. So while these macaroons are quick and deliscious they’re also a powerful package of nutrients. Hmmmm…maybe next time I’ll add a little dark chocolate? My name Jennifer Van Barneveld-Pe and this is a collection of my experiences through blogging on balancing the life of a Fitness Expert/Nutritionist and brand new Mommy. Previous PostProtein Grab and Go Bites! TEAM STRONG GIRLS Success Story - Ashley C.